5 Beds 4 Baths 1 Partial Bath 3,178 Sq. ft. 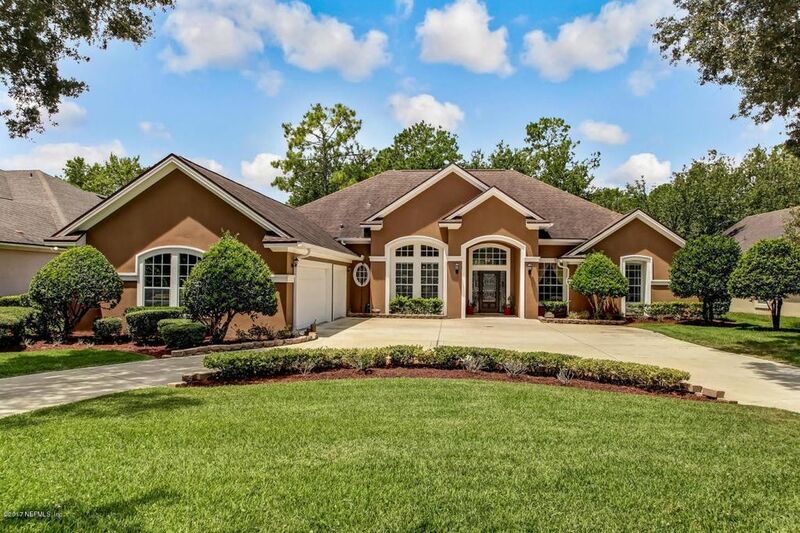 STUNNING POOL HOME IN DEERCREEK COUNTRY CLUB COMMUNITY! Relax and enjoy the spacious Lanai/Pool overlooking the 18th Fairway. Open and bright floor plan includes large Kitchen with granite counters, stainless appliances, walk-in Pantry, open to Breakfast and Family Rooms. Master Suite has double door entry, sitting area, crown molding, two tier step tray ceiling and private entrance to Pool area. Master Bath has double sinks, granite counters, jetted tub and walk-in shower. Gorgeous hardwood and tile flooring throughout main living area. Three car courtyard Garage is sure to meet your storage needs.